Gil joined the crew as head brewer in July 2016. His passion for craft beer goes back many years, and he followed that passion to brew school with the American Brewer's Association in Vermont in 2012. Soon thereafter, Gil packed up his bags from his home state of Michigan and moved to Nebraska to produce beer at Blue Blood Brewing Company in Lincoln. Maybe it was his Big 10 roots the led him to the Cornhusker State (Nebraska joined the B10 in 2011), or maybe it was just the opportunity to brew craft beer. After 3 years away from the water, Gil took advantage of his opportunity to take on a new challenge in Fairhope. Keep an eye on the barrel-aged beers to come, as one of Gil's former brews (barrel-aged Belgian farmhouse) won a Silver Medal at the World Beer Championship. Our managing partner discovered his love for craft beer while living in Alaska for 6 years with his wife Michele. Looking for an adventure after law school down south, Brian and Michele moved to Juneau to work for the state government - only to learn that Alaska Brewing Company was a mere 10-minute drive away. After hitting up breweries all over Alaska and across the US, Brian had (unknowingly) been gathering research to put together a fantastic brewery down in Fairhope. Once he rounded up a guy making great beer and a few other beer lovers, The Fairhope Brewing Company was born. Brian has two children, Mary McCarthy and William, who know way more about the inner-workinging of a brewery than any little kid should! Tom is a former IT professional, stay at home dad, and the list could go on for a while. 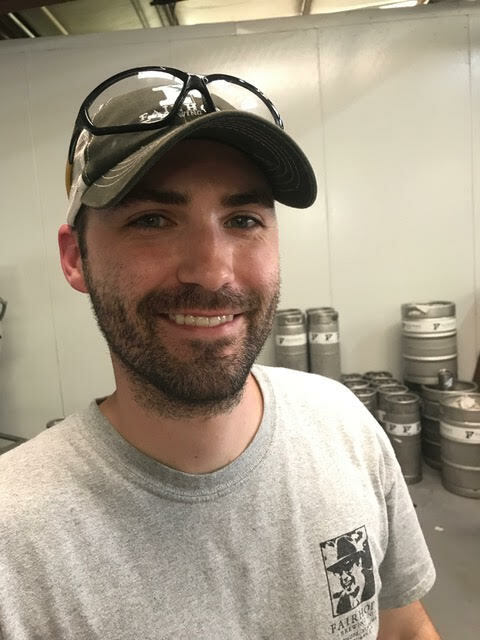 Tom joined the brewery officially in August of 2014 after working 3 years active duty in the Coast Guard where he still serves in the reserves. Tom was introduced to Craft Beer when he worked the door at the Brewery on the soft opening. When the opportunity to work with an old friend and high school classmate (Brian) came up he saw the chance to explore a new career that could prove to be very promising. Tom is married to Leslie and has two daughters ,Emily and Mia. Our managing partner grew in New Jersey and got his degree from Villanova University before heading to law school in Alabama. It wasn't until Jim got to Tuscaloosa that he learned there was more to beer than the light lagers he had reluctantly drank through college. After graduating law school, passing the bar exam, and a few years of doing the legal thing, Jim was ready to move on to something a little more rewarding. Operating a brewery was the perfect opportunity. 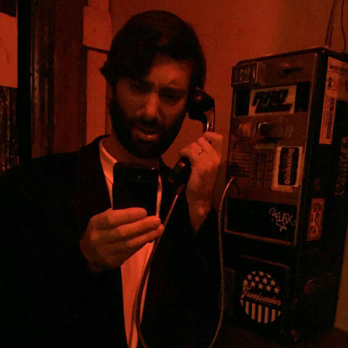 You can find Jim behind the bar hosting our Live Trivia just about every Wednesday night. Jim is married to Cindy, whom he met while working for a judge in Macon, Georgia, and they welcomed their son Hank to the world in July of 2014. They all live happily on Fish River with Flipper the Dog. While Dale in no way works for the brewery, he is often seen on the premises offering unsolicited and free business advice. And talking about music. Harbour (aka Boat Dock) joined the team in May of 2017 as part of the packaging crew, just shortly after graduating from The University of Alabama. 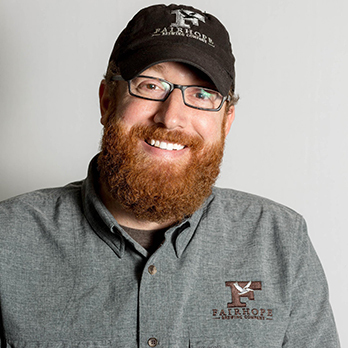 While he majored in management and marketing, his true passion was to work in the craft beer industry. As the youngest member of the team, Boat Dock keeps everyone abreast of the newest trends in pop culture and the whereabouts of Taylor Swift. Most importantly, he’s up to take on any task at the brewery whenever asked. If you are looking for him in the taproom, just look for the guy talking trash while playing some CTP on the Golden Tee and drinking an IPA. Our brewery's "official" legal counsel started drinking craft beer at the Chimes while in law school in Baton Rouge. (though her heart reminds with her undergraduate school, THE University of Alabama). Her passion for craft beer and IPAs was solidified in Alaska where she and Brian moved to postpone growing up. After moving back to the lower 48, Michele decided growing up was overrated, and convinced Brian to open a brewery. 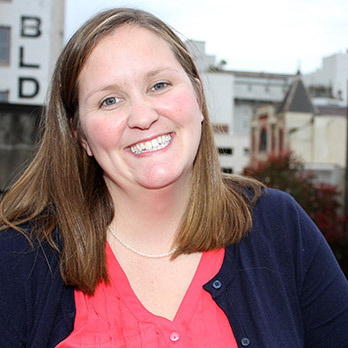 In addition to working as a full time corporate attorney, she also reviews the brewery's contracts and assists with public relations and special events. Though born in Iowa and raised in California, Brandon made the wise decision to attend college in Fort Collins, Colorado, where, in the early days of New Belguim Brewing's rise, he fell in love with craft beer. His post-college career in professional theater didn't leave much room for a beer budget, but it did introduce him to his wife Sarah and give him an excuse for visiting the country's breweries under the guise of working for a touring theater company. Eventually, Brandon and Sarah married and moved first to the craft-beer-happy town of Durham, North Carolina and then to the craft-beer-rich region of Southern California. 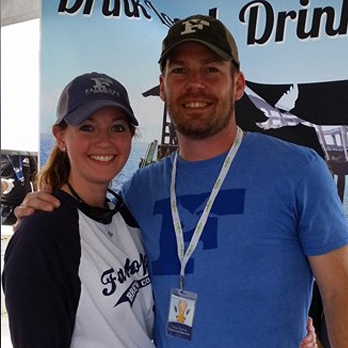 In 2014, Brandon, Sarah, and their then-infant son finally found their way to Fairhope, AL, and nearly immediately to Fairhope Brewing Company. After first making himself a regular, Brandon began making the brewery new tasting paddles, bottle openers, and tap handles. These days, he makes beer. Dillon came aboard in February of 2017, transitioning from a role in the distributor world into that of the manufacturer. 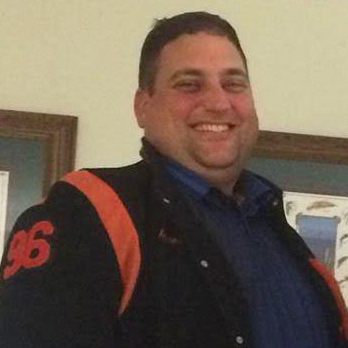 He previously worked for Bud-Busch Distributing as a special events manager and draft tech. Prior to that, Dillon served our country as a “weatherman” in the United States Navy from 2007-2011. All these skills have greatly contributed to his efforts at the brewery in things like installing a revamped draft system and telling us to rent a tent for an upcoming event thanks to the low pressure system coming over from the west. Dillon grew up in the Robertsdale area and is now married with a daughter. 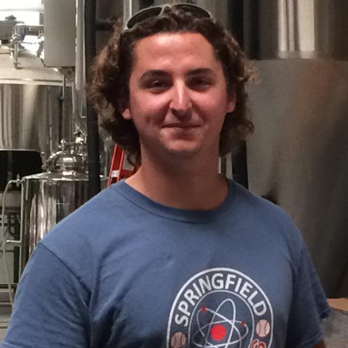 If you see Dillon around the taproom, be sure to ask him about the brewery travels of his mom and stepdad! Darius has been a Mobile/Daphne guy all his life. In addition to his love for pint glasses, Darius has always had special places in his heart for disc golf and logo pint glasses. He previously worked at Mobile Infirmary as a supply technician before joining the FBC team as a packaging pro in September of 2015. While he takes on any job needed on the packaging side of the brewery, his business card actually gives him the title of "Hype Man." Swing by the taproom on any Friday, and it will most likely be Darius shaking your hand and pouring you a beer. Our packaging specialist Alex, is a former patron turned employee (you gotta love the brewery to work at the brewery!) The eastern shore native from Daphne fell in love with craft beer while studying at Auburn University. Returning home from school, learning far more about beer than anything in class, he was thrilled hearing of a brewery opening just down the road. After years of frequenting the tap room, he officially joined the crew in 2015. 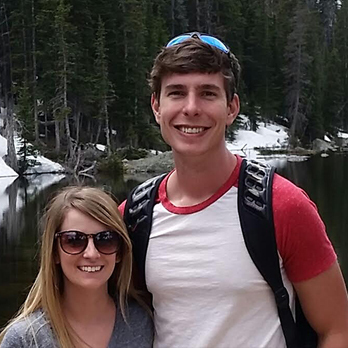 Alex is newly married to his lovely wife Sam and has two furry children, Gatlin and River. 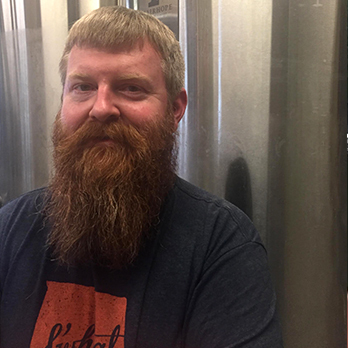 Our Partner and Distribution Coordinator for central and north Alabama fell in love with craft beer as one of the first members of the Alabama craft beer advocacy group Free the Hops. As an officer in Free the Hops, Gabe was Vice President when the ABV increase was signed into law and President for four years during which the bottle size increase and brewery taproom reform were signed into law as well. Gabe and his wife, Julie, have a daughter named Cecilia who shares a birthday with the brewery (though they consider their rescue dog, Doji, to be their first child). Gabe is a graduate of Auburn University and lives in Birmingham, AL so if you are in the taproom when he is pouring beer, consider yourself lucky. The best place to find him though is sitting at the bar in one of Birmingham's many craft beer friendly haunts. He'll probably buy you a Fairhope beer if you do. 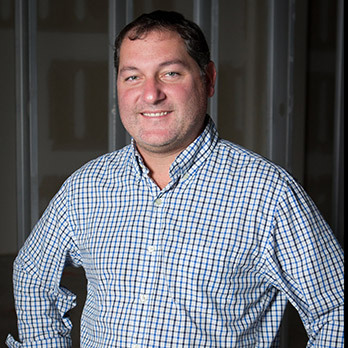 James has continuously lived in the Mobile area longer than any member of the FBC team, which makes him a perfect fit for hitting the pavement in Baldwin County, Mobile County, and coastal Mississippi. As you might guess, James is a proud graduate of McGill-Toolen Catholic High School - though the football teams he played on were not quite as successful as the 2015 team. He has been associated with the brewery since the beginning, even so far as the first $5 beer at the brewery was bought by James (that $5 still hangs on the wall by the taps). 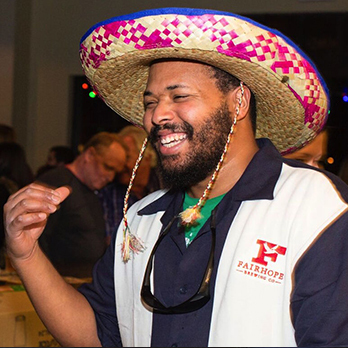 James has always had a passion for sales and for Fairhope beer, so he was a great match for visiting accounts, moving beer, and setting up special events.